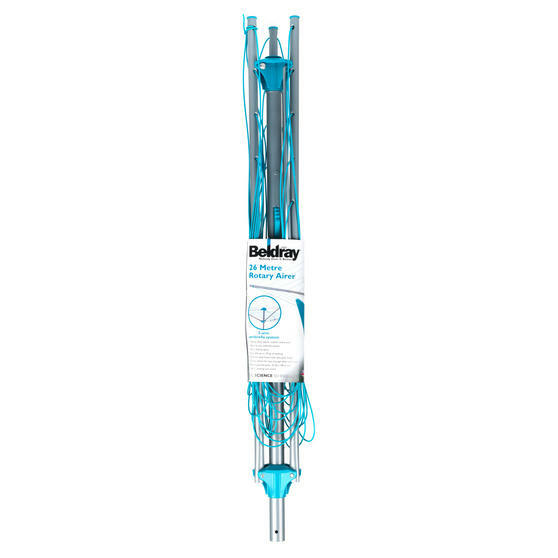 Save money on tumble drying and make use of your garden space with this turquoise Beldray outdoor clothes airer. Made from steel tubes with PVC lines, it is strong and durable so you can hang your washing and be confident that it will not end up on the floor. 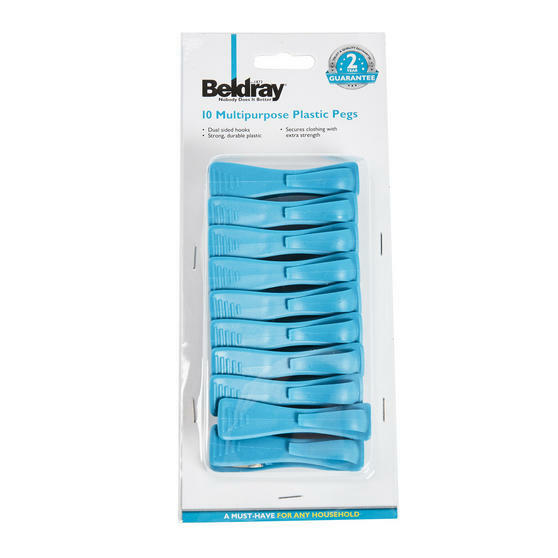 With 26 metres of drying space, you can use it for anything and it comes with a pack of 10 extra strong multipurpose pegs. The airer will rotate in the breeze, drying your clothes equally and giving them a lovely fresh smell. This superb Beldray clothes airer has 26 metres of drying space, allowing you to hang out all of your laundry to dry at once. 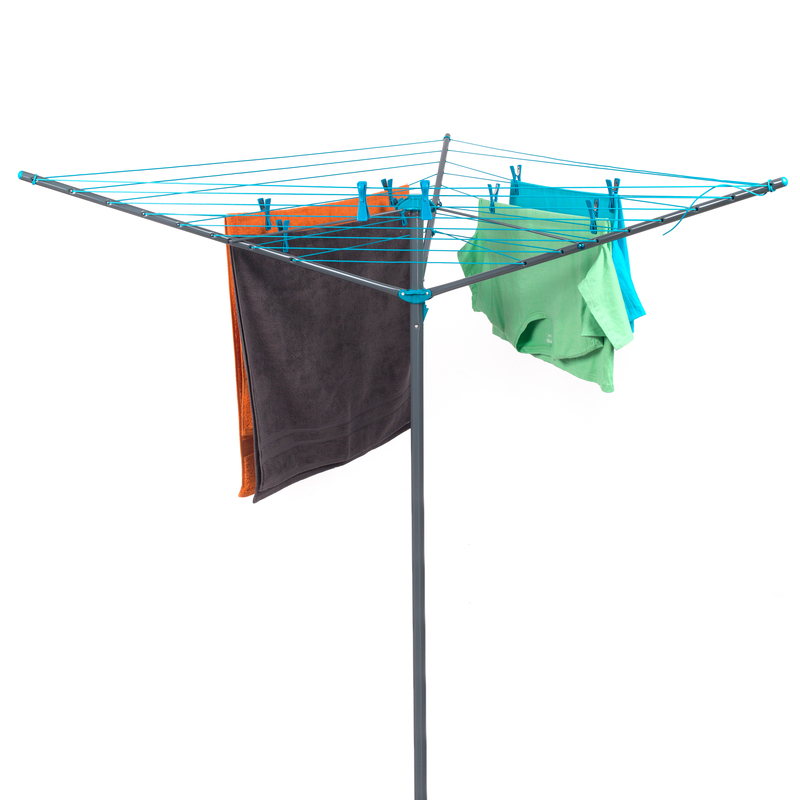 Simply put the central pole into the ground socket, unfold the arms and hang your washing on the line to allow your clothes to air dry. Made from durable steel, the airer is strong and secure, able to hold a large amount of weight in order to look after your laundry. 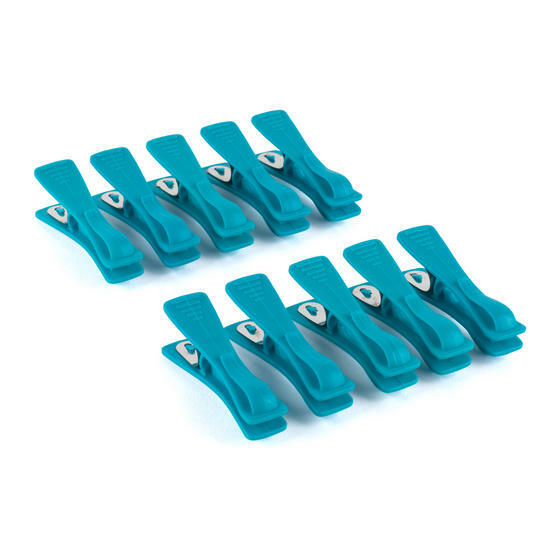 The airer comes with a pack of free multipurpose pegs with dual hooks that will securely peg or hang your clothes from the line. 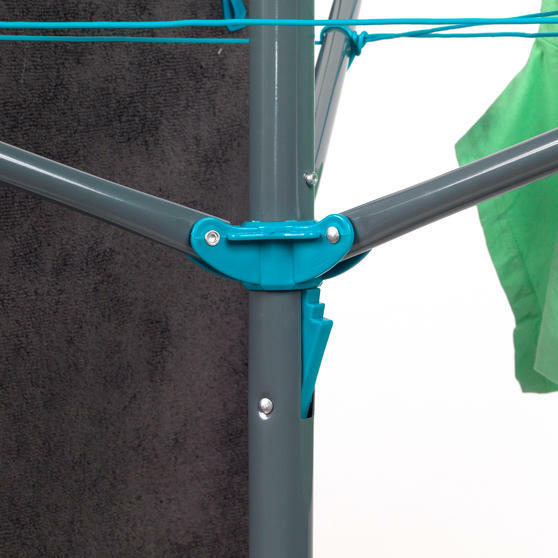 The turquoise airer gives plenty of drying space without taking up too much garden space, and it stays secure in windy conditions.